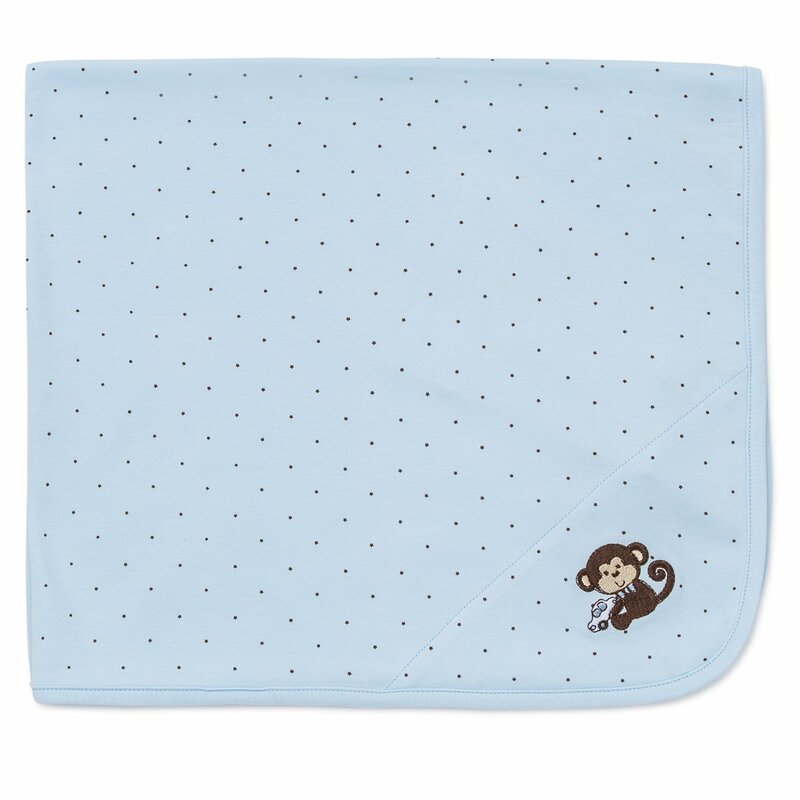 The "Monkey Star" blanket by Little Me is perfect for swaddling and keeping him warm and cozy. 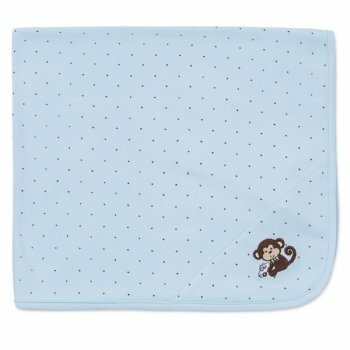 The sweet and happy monkey is an embroidered appliqué on a lovely blue blanket with brown stars. He'll love this 100% cotton, super soft blanket and will cuddle with it for years to come. 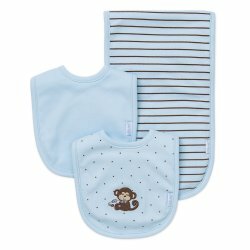 Pair with the "Monkey Star" newborn gown and hat set for an extremely adorable "Take Me Home" set and baby shower gift for a one very cute little monkey!